The story of the novel has a right proportion of flesh and bones and it enchants the readers in a designed manner as well. Moreover, the plot on which the story of American Maharajah progresses is constructed with detail; however, to be sure, that is simple and does not have that much of thrilling twists and turns or scenes of violent confrontation between parties. 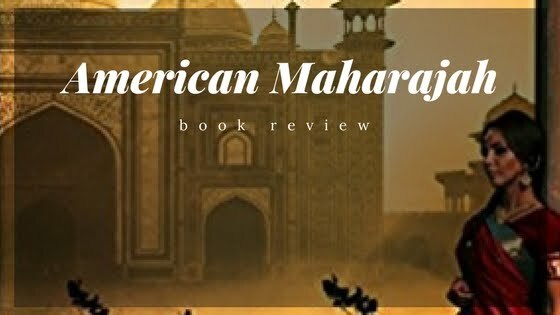 American Maharajah is more of a clean novel with a story to appeal to the readers rather than a novel which excites the readers every now and then. Ravi Shankar, the protagonist, is an Indo-American who has been raised in Colorado and works in an IT company. He has a girlfriend named Melissa who breaks up just before Ravi is about to visit India. In India, Ravi, somehow, is lost in the deserts of Rajasthan before being saved from dying thirsty by Aishani, a lady who lives with an elderly king in a palace where Ravi is taken. Now, Ravi is left with doubts and dismay when he sees the king calling him his dead son and Aishani calling him her fiance. Amar, the person to whom Ravi is referred by these two, has been dead many years ago. Aishani and the king believe that Ravi is the reincarnation of Amar but Ravi is more and more confused as he sees the evidence - photographs matching exactly. He has many questions and when he reaches back home, he is stunned to know that he is not the real child of his parents. So, is he really the reincarnation? And because he is the supposed son of Maharajah of Bharathambhor, will the spring vanish once again? In short, this is the story on which the novel moves. Mark Levy has been very good with the vision in this story. Indian values and Indian sentiments have been presented by him in a dignified and detailed manner in American Maharajah. His characters are progressive and they do not bind themselves in the classic Indian image of 'your kingship' and 'your ladyship'. Aishani's character will impress any reader! Ravi represents the people who are not sure about their goals in life and wander about looking for reasons to be happy and live their life enthusiastically. In the USA, though Ravi was leading a good life, he wasn't sure of himself; he was not satisfied. When he comes to India, he gets a 'duty' to carry on his shoulders. As I told earlier, the plot isn't that thrilling or violent or spicy. You will get good story served to you with simplicity. If you are a critical reader of fiction, you might be happy with this set-up. However, if you love reading modern fiction with some elements of El James and some of Ian Fleming, you might not have that much interest in this novel. Because Mark's novel, American Maharajah, does not waste so many sheets of paper (it's only a 204-page novel), I will surely say that this novel is worth reading. It might remind the readers of Indian fiction of the days when Anita Desai wrote her plain fictions or even R.K. Narayan wrote his Malgudi Novels. An Indian story being offered to readers with an Indian set-up and that's a really worthy piece of fiction by Mark!